Hi guys, today in this tutorial we will be looking at how you can send SMS in Android through your next killer app you are designing. That's it, its that simple ! 1. The first parameter is where you send the mobile number to which you wish to send the SMS to. 2. The 3rd parameter contains the text of the SMS to be sent out. 3. 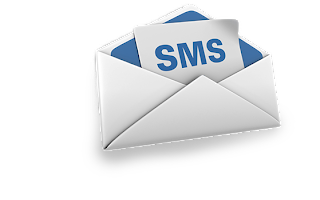 We create an instance of the SmsManager and using the sendTextMessage method we send out the SMS. This will send the message using the user's credits, so it is always advised to confirm with the user once before sending out the SMS. Using the Built-In SMS App - using this method you can redirect the user from your application to the default Messaging app in the device where the user can proceed further as needed. 2. Set the body of the SMS using the putExtra method, make sure you put the key as " sms_body". 3. Set the type to "vnd.android-dir/mms-sms". Feel free to drop me any comments/queries. Quite nice tutorial and I have just tried it and it truly works. Well I am also thinking to start utilizing the easy to use app for sending bulk SMS to the potential audience. There are many app but I am not able to find a good option that is appropriate for real estate text marketing. Was just wondering if you can help me regarding it!